There are almost 13.7 million individuals in America who are survivors of cancer. There are numerous of the people who have avoided cancer and they are the ones who have joined the cancer prevention study having their birthdays as very significant milestone. More than 300,000 women and men took part of the movement for more birthdays in fighting back against cancer as they enrolled in a new research study which is regarded as the Cancer Prevention Study-3 (CPS-3). The ultimate aim was to be able to enroll a minimum of 300,000 adults coming from different racial and ethnic backgrounds from across Puerto Rico and the United States. CPS-3 is regarded as a grassroots effort wherein the local communities which are from across the country will be able to support the cancer research not only through the efforts to raise funds but also to have active participation with the historic research study. The goal of the study is to have better understanding of the factors which cause or prevent cancer and these include the genetic, environmental, and lifestyle factors. Moreover, the Cancer Prevention Study-3 (CPS-3) aims to eliminate cancer as this is a major health concern for the next generations. When one joins the study, there will be more understanding in the prevention of cancer, thus, this will be saving lives and giving the individuals more of their precious time such as having more time with family and friends, more memories, more birthdays, and more celebrations. 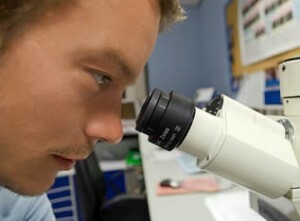 The American Cancer Society’s Epidemiology Research Program is funding and managing the CPS-3. The program will be conducting, analyzing, and publishing the original research on both of the causes and prevention of cancer by making use of the large follow-up studies. The participants are going to be followed for a minimum of twenty years. This will mean that the participants after being enrolled will be contacted every two years by means of mailed questionnaires for which they are required to answer. The amount of time in answering the questionnaire is minimal, which is approximately 45 minutes intended for the follow-up questionnaires. A cancer-free population is the preferred participants because when the person has cancer then the body will already have been affected by the disease, its treatment, or changes in lifestyle. This will lead to the difficulty in the collection of data and studying the prevention of the disease. Read this page to learn more about how the cancer prevention study can save lives. Proper prevention, detection, and treatment of cancer early is vital to your health. One group that shares these goal for fellow Coloradans is the Colorado Cancer Coalition. Through their statewide network, they seek to improve the lives of the people in this state by providing research, early detection and treatment options for those afflicted with cancer. A vital non-profit organization is the Colorado Cancer Research Program (CCRP). At this time they Offer trials for cancer control, supportive care, screen and diagnostics, prevention and treatment. Women who have been diagnosed with breast cancer can find a broad range of resources at the Colorado Breast Cancer Resources Directory. The team at CNAedu.com deserves our thanks for the work they’ve done contributing with the distribution or our information and raising publicity for our events. We would also like to thank the researchers and physicians at the University of Colorado Cancer Center for their dedication to patient care and research.